Orange County, Fla. – Sept. 10, 2017 – Orange County’s Office of Emergency Management is advising residents to stay vigilant and informed on the path of Hurricane Irma. This is a large, dangerous storm. Even if the center of the storm passes the region, Orange County will be affected. Given the size of the storm and that Orange County is on the east side of Irma, there is still concern about tornado activity. There are noteworthy changes in the projected track of the storm with another shift to the west. Based on current projections, by 1 p.m. Sunday, Orange County will begin to feel tropical-force winds. On Monday, Orange County will experience the strongest part of the storm. 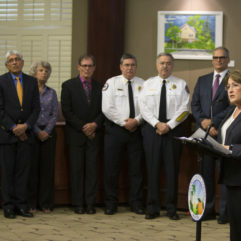 In an effort to ensure safety, Orange County Mayor Teresa Jacobs, in her official capacity as Director of Emergency Management, which includes unincorporated and incorporated areas of Orange County, has issued a mandatory countywide curfew to be in effect from Sunday, September 10 at 7 p.m. through Monday, September 11 at 6 p.m. This curfew will not apply to emergency responders, employees at hospital and health care facilities and critical staff for businesses that provide essential commodities and services. As of 10 a.m. Sunday morning, Orange County continues to man a total of 18 shelters. These include three pet-friendly shelters. Apopka High School, Colonial High School and Odyssey Middle School are at capacity. Orange County opened an additional pet-friendly shelter Sunday morning at Oak Ridge High School. At last check, Barnett Park was also near capacity. Residents are encouraged to go to the alternate pet-friendly shelter, which is located at Bithlo Community Park – located on 18501 Washington Ave in Orlando. As of midnight last night, 3,142 individuals checked in at our Orange County shelters. 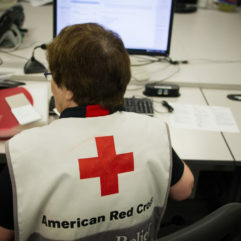 Five teams of National Guardsman are helping staff shelters, along with Orange County personnel, in partnership with the American Red Cross. A list of those shelters with information on what to bring to the shelters can be found at www.ocfl.net/shelters or call 311. Transportation assistance for individuals registered at “PSN” (Persons with Special Needs shelters) is expected to cease around noon given pending wind forecasts. Individuals that are registered are still welcome at PSN shelters, but must make their own transportation arrangements. There approximately 400 individuals currently in the county’s three PSN shelters. The locations of these shelters are not public. Orange County residents in mobile homes are under a mandatory evacuation and should seek safe shelter immediately. Since Friday, Orange County Fire Rescue has coordinated teams going door-to door with fliers to mobile home parks informing residents of the a mandatory evacuation. 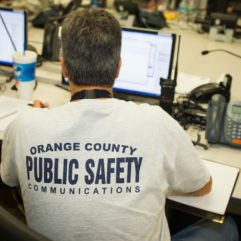 In addition, to reach landline users, Orange County has sent out its Code Red – reverse 9-1-1 alerts. Orange County is also utilizing FEMA’s Integrated Public Alert and Warning System (IPAWS) system to reach cellular users. This innovative, new system was approved just last month by the Board of County Commissioners for critical public alerts and warnings. Through noon on Sunday, Orange County Fire Rescue will continue door-to-door outreach and loud-speaker announcements through mobile home parks. Curbside residential yard waste pick up has ceased operations and the Orange County landfill and transfer stations have closed until after the storm. Now is the time for homeowners and property owners to make one last pass around your property to secure any loose material. The Orange County Convention Center (OCCC) is not a public shelter. The Convention Center is housing almost 1,500 vehicles including Duke Energy, OUC, black hawk helicopters and Red Cross vehicles. 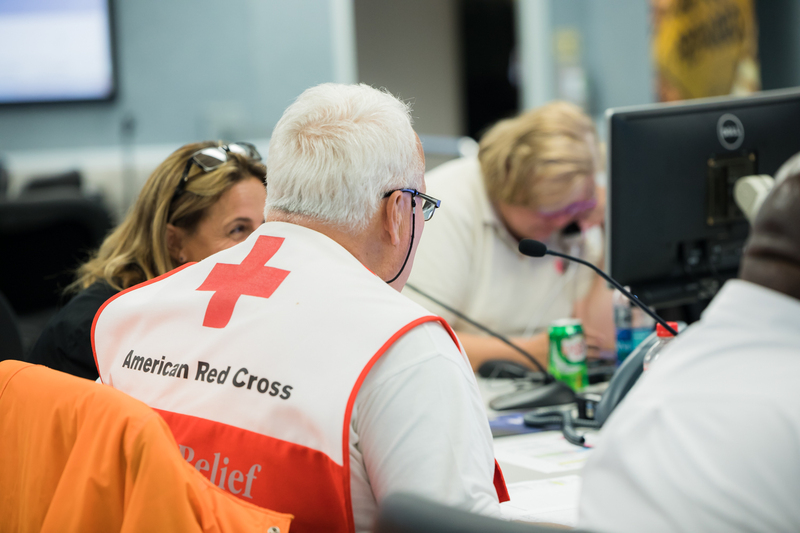 These teams will be ready to deploy to impacted areas of the state immediately after Hurricane Irma passes. Residents with questions and concerns can call 3-1-1 for assistance. Finally, we will put out all information via social media and our website, www.ocfl.net.